As we’re all very much aware, in recent years higher education as an industry has been through somewhat of a rough patch; student numbers have declined and many universities and colleges are struggling to fill seats. While this is in no small part due to reductions in state funding and rising student fees, it can also be attributed to uncertainty about what comes after the graduation caps are thrown in the air. Students need to be given answers on higher education investment opportunities and outcomes. In other words, what are the chances of them getting a job after they have graduated? There are so many different ‘definitive’ university rankings out there that attempt to quantify universities and colleges by reputation, academic excellence and achievements so when we first heard that LinkedIn had released its own university rankings, we weren’t entirely sure what, if anything they could bring to the table. However, LinkedIn’s rankings rates universities and degrees that got its students the best jobs within certain sectors across the UK, Canada and the US. 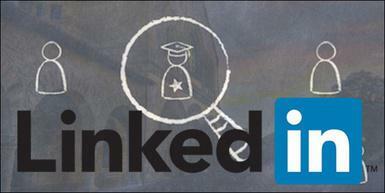 LinkedIn analyzed employment patterns of over 300 million LinkedIn members from around the globe. In doing so, they figured what the desirable jobs are within several professions and which graduates are getting those desirable jobs. For instance, LinkedIn’s rankings for software developers list Carnegie Mellon University in first place, Caltech in second and Cornell University in third place. Similarly, LinkedIn also ranks Software developers at start-ups listing Stanford University in first place, Massachusetts institute of Technology in second and Brown University in third place. LinkedIn’s rankings aren’t as comprehensive as say The Times Higher Education World Rankings and they do work on the basis of bigger is better but what makes LinkedIn’s rankings really interesting is that they take postgraduate opportunities into consideration; something that’s quite rare in university rankings. While the LinkedIn rankings are by no means exhaustive, they certainly go some of the way in closing the gap towards providing students with much needed information about what the return on their academic investment is. Let us know what you think; will these rankings be a valuable addition to how students select their universities or colleges or are there too many rankings out there already?